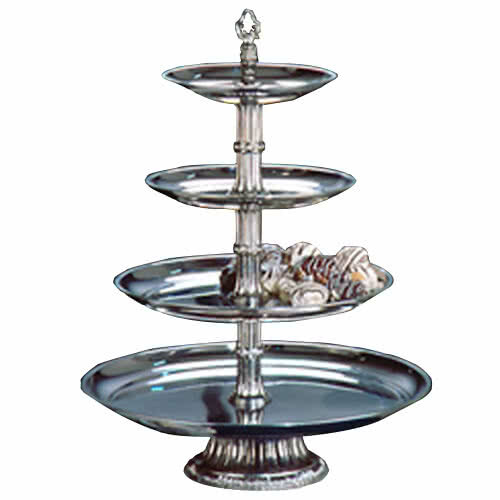 This item includes stainless steel trays and a heavy cast nickel finished columns and base. The tray sizes are a follows: 20", 16", 12", and 10". 28" Tall, 20" Wide, 20" Depth. Various tiered serving trays available. Call for addtional information.